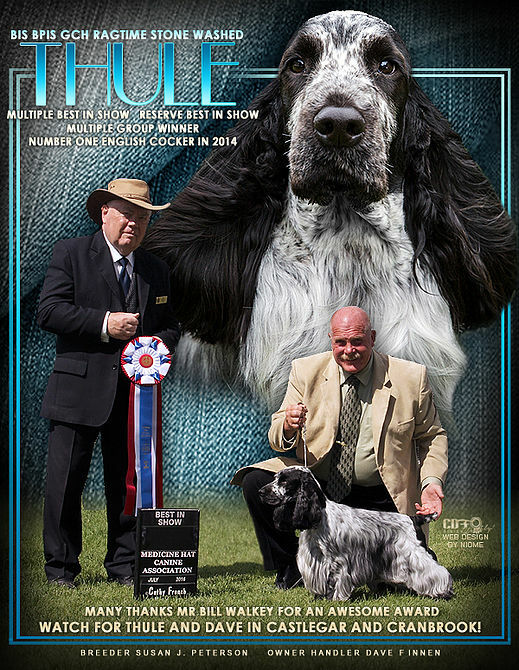 Thule: AKA BPIS BIS GRCH Ragtime Stone Washed came to Sherlock in the summer of 2013. He finished his Canadian Championship that year. 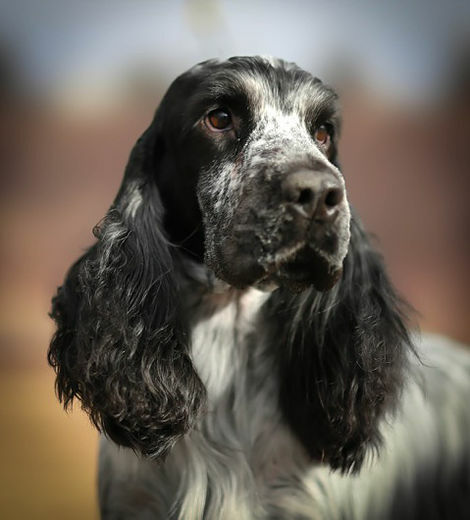 In 2014 Thule was shown to the number one English Cocker Spaniel spot. In 2015 Thule was shown only sparingly however he again was competitive in 2016 and finished in the number 3 position. 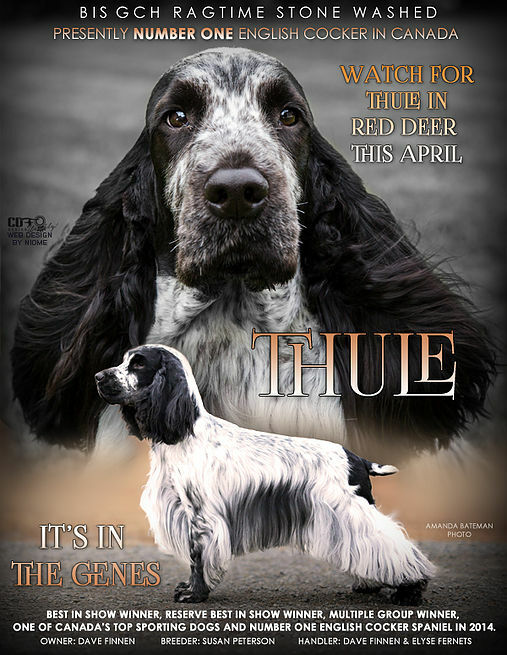 Thule is an extremely affectionate dog and a credit to the breed. 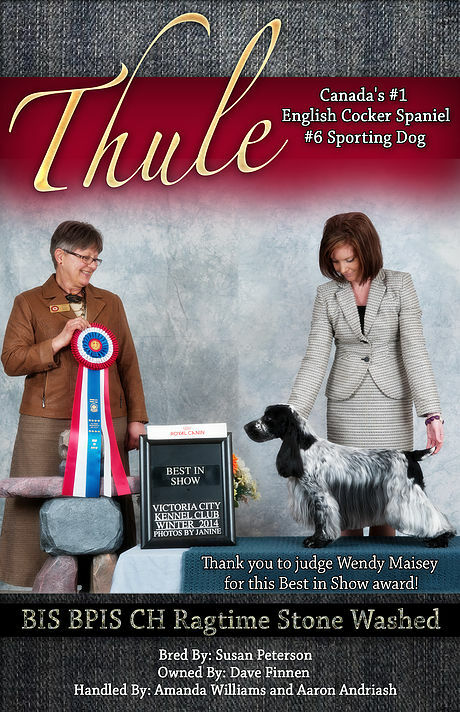 Noted here under are a few casual photos of Thule, a few advertisement photos and a few Show photos.